Teach, learn, share, and network for peace globally. Join millions of peace advocates in affiliated groups. 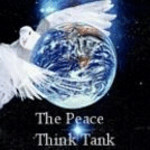 Gain access to the Peace Think Tank Library. Add to the Peace Think Tank library of information. Become a Peace Ambassador.